How Much Does It Cost to Print a Vinyl Record? As an artist or a band, you may consider releasing your album on vinyl to target a specific audience. This may seem like an obvious thing to do since some people stubbornly argue that the sound quality of vinyl is better than on digital formats. Many people also like the fact that, to an extent, vinyl requires engagement from the listener, for example flipping the record every 20 minutes. They think its retro or cool. Before going ahead with a vinyl release, however, it is important that you should take some aspects of vinyl record printing into account. Below are some frequently asked questions that may help you make an informed decision. How Much Time can Fit on a Vinyl? This is one of the first challenges when it comes to vinyl release. To give your listeners the best experience, it is recommended that each side should contain no more than 18 minutes per side at 33 1/3 RPM. This means that with vinyl you have a total of around 36 minutes. On top of that, inner groove distortion will force you to put tracks with more frequency or musical information at the start of each side and the tracks with less musical information at the end. When it comes to vinyl records, you are more limited in terms of what you can provide to your listeners. This wouldn’t have mattered, but, unfortunately, the costs and potential earnings of vinyl sales makes this limitation worthy of consideration. You can learn more about preparing your audio for manufacturing by checking out or Premastering for Vinyl page. 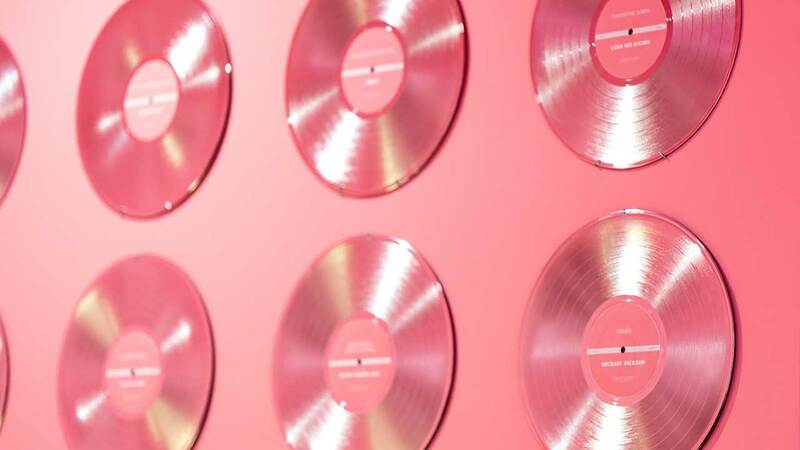 How Much Do Artists Make on Album Sales? This is a significant question, as it will help you to determine whether a vinyl release is a good idea or not. The costs of producing 100 12” LP’s can cost anything from $1,200 to $1,600 US. This means that, in order to break even, you will have to sell one unit for at least $16 if your input costs were on the higher end.We hve seen our Artists selling 12” L’s for anywhere between $15 and $35 US, depending on the Artist, the demand and the packaging. so it is important to make sure that your selling price is higher than your cost per unit. On the upside, you can sell your albums for as much as you want if your market will bear it. You can, of course, lower your input cost per unit by placing larger vinyl record printing orders. The problem is that selling 500 LP’s is much harder than selling 100. The physical music market is not as big as it used to be, which may pose a challenge. It is important to remember that vinyl records do hold value for many people. In some cases, a vinyl release may definitely work in your favour, even if you sell vinyl records to your fans at a price where you break even. Like many other products, the higher the sticker price, the more potential there is for profit. When you compare the cost of printing vinyl record with digital formats, it can be considered expensive. If you take the additional costs of printed labels, inner sleeves, and record jackets into account, the unit price will go up accordingly. If you have a willing audience who appreciates your work, the added expense may well be worth it. If you are serious about a record release, it may be worth placing small printing orders to prove your market and ensure that you don’t end up with unsold merchandise, and wasted money. For a quote on your own vinyl project give us a call or email today!